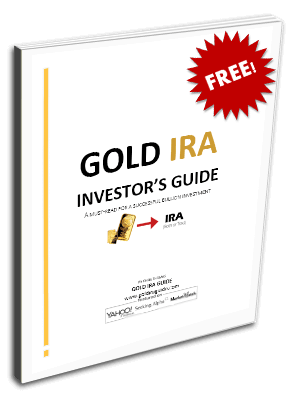 Gold IRA Guidegeneral How Much Gold Should You Have in Your IRA? 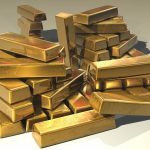 How Much Gold Should You Have in Your IRA? In tumultuous financial times, investors around the world have turned to gold as a store of value to help preserve their wealth. With echoes from the great financial crisis of 2008/2009 still causing financial disruption, as seen recently in the Cyprus bailout, the yellow metal looks to be as relevant as ever. Many investors use gold to hedge the risk of financial calamity. However, it should be noted that gold is itself a commodity, and can be highly volatile. Therefore, only investors who are comfortable with this volatility should consider allocating a portion of their IRA funds to gold. In terms of how much gold you should have in your IRA, it depends to a great deal on how comfortable you are with gold as a diversification tool. In a recent interview Peter LaTona of APMEX cited the range of 4-20% of a portfolio to be placed in gold, and this seems to be within the consensus range of estimates put forth by other experts. You as an investor must ultimately determine whether and how much to invest in gold in your IRA, of course. Whatever you decide to invest will likely reflect your assessment of the risk in the financial system currently and in the future and how you believe gold will respond should that risk flare up again. 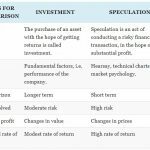 As an investor making a decision as to how much if any gold to invest in an IRA, it is important to understand some of the factors which undergird gold’s performance in times of financial stress. One key factor in the yellow metal’s favor is the fact that gold is not anybody’s liability. Unlike a corporate or government bond whose value relies on the performance of the entity backing it, gold’s value is counterparty-free. Another factor which allows gold to hold its value in times of financial crisis is the difficulty of creating it. During the current crisis, in an effort to stoke their economies, central banks around the world have been increasing the issuance of currency through so-called quantitative easing or QE programs. Given the low cost of creating fiat currency, either via the printing press or its digital equivalent, excessive currency creation runs the risk of causing inflation and thereby weakening the purchasing power of existing currency. Gold, on the other hand, given the expense involved in mining it from the ground, can not be easily created and, as a result, tends to hold its value in times of inflation. So-called gold IRAs allow an investor to place a portion of their IRA assets in physical gold in the form of approved coins or gold bars. Other precious metals such as silver, platinum and palladium may be held as well in such IRAs. Please note that the gold must be physically controlled by the custodian of the IRA, and not you as the owner of the IRA. Typically the gold will be held at a depository selected by the IRA custodian for safekeeping and to comply with IRS regulations.